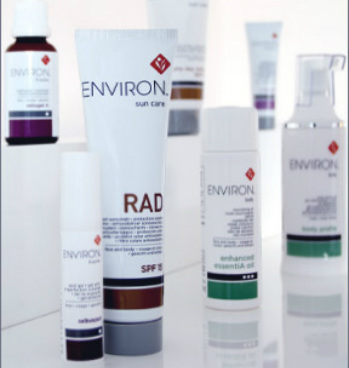 Environ® Skin Care - Outstanding results for all skin types and all agesWhatever your skin type there’s an Environ® range to suit you. The clinically-tested formulations are packed with powerful antioxidants and active vitamins to address lines, sun-damage, problem skin, pigmentation and dryness. Environ® products support the long-term health of the skin and will give you real results that you have never experienced before. 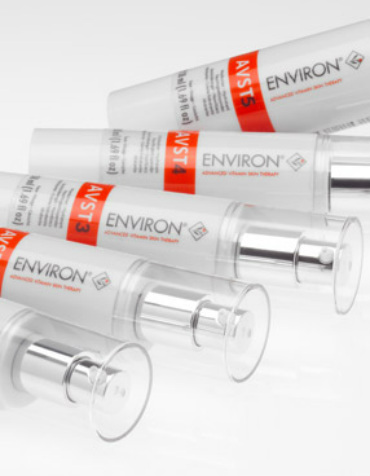 AVST is Environ’s® foundation range of face and body products for everyday use. The potent combination of vitamin A, C and E along with powerful antioxidants, flavonoids and peptides protect and normalise the skin,promoting collagen production and improving uneven skintone. 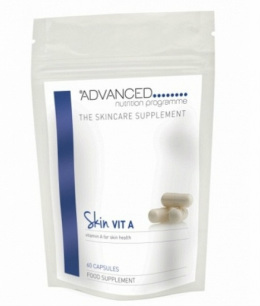 AVST™ 1 – 5 These daily moisturisers are produced in five varying strengths of vitamin A. Clients move up through the sequence gradually, starting at 1 and progressing to 5. This enables skin to become accustomed to the progressive strengths of the active ingredients while gaining maximum long-term benefits. All levels contain antioxidants, including Vitamin C & E, resveratrol, green tea, beta-carotene and honeybush extracts to help neutralise free radical damage. AVST Pre-Cleansing oil A gentle pre-cleanser containing refined mineral oil as well as a cocktail of vitamin E, botanical oils and extracts, which assist in hydrating dry skin and also in decongesting problematic skin. AVST Cleansing lotion Containing jojoba oil and olive oil derivatives, this gentle cleanser leaves skin clean, moisturised and velvety. .AVST Eye Gel Improves blood supply to the deeper layers of the skin in the delicate eye area, reducing the appearance of fine lines and uneven skin tone. AVST Eye Make-up Remover Gently removes eye make-up without stripping the skin of its natural moisture barrier. AVST Hydrating Exfolient Masque A versatile kaolin-based masque with fantastic skin rehydrating, moisturising, oil absorbing and decongesting properties. Containing high levels of vitamins and active ingredients, the Intensive Range works with core Environ® products to enhance their effects and provide additional skin support. You can use any combination of products below, allowing you to tailor your beauty regime to your specific needs. Alpha Hydroxy Cream Mild A gentle cream containing Alpha Hydroxy Acids (AHAs) and is recommended for congested, sun damaged and sensitive skins. Alpha Hydroxy Gel Contains a high concentration of Alpha Hydroxy Acids (AHAs) and is recommended for sun damaged, mature and congested skins. These gentle non-toxic acids help to soften and smooth the appearance of skin. Alpha Hydroxy Toner Forte A refreshing toner containing high levels of Alpha Hydroxy Acids (AHAs), which help to refine the skin’s surface. Hair and Scalp Tonic Contains a cocktail of nutrients which help moisturise the hair and promote strong, healthy growth. Colostrum Gel A powerful skin energiser that contains bovine colostrums and growth factors to thicken the epidermis, support the skin’s immunity and promote collagen production. Hydrating Oil Capsules Contain powerful antioxidants and vitamin A to strengthen cell walls, improve blood supply to the deeper layers and firm the skin. Antioxidant Gel A mild yet effective formulation that can be used on face and body to soothe and moisturise, particularly good for sensitive skins. Super Moisturiser A special moisturising cream formulated to help relieve dry skin conditions, especially suitable for sensitive skin. Environ’s® Ionzyme range is for mature skin or for clients who want to achieve incredible results within weeks. These premium products offer unparalleled vitamin A penetration and high levels of vitamin C. A potent cocktail of antioxidants, penetrant enhancers, penta-peptides and emulsifiers help to reverse the signs of ageing. C-Quence 1-4 This powerful formulation comes in four strengths with progressively higher concentrations of vitamins A and C in their most active forms. Environ’s® most effective combination of penta-peptides and antioxidants combine to stimulate collagen production, firm the skin and thicken the epidermis. C-Quence Crème Provides optimum levels of nourishment for the skin when used in conjunction with C-Quence Gel. Enriched with Jojoba, Green Tea and Rosemary extracts, which combine to reduce the signs of ageing, nourish, hydrate and maintain a healthy skin. C-Quence Eye Gel A light formula containing powerful penta-peptides which work in synergy with vitamins A, C, and E to firm skin around the eye area and dramatically reduce fine lines. C-Quence Toner An active toner that protects the natural acid mantle and normalise the skin. It increases penetration of the active ingredients contained in the creams used in the daily regime. C-Quence Energising Masque Is a home peeling treatment which visibly reduces the signs of photo-ageing. Based on a high concentration of pure vitamin C and beta hydroxy acids, it gently exfoliates and refines the surface of the skin while also increasing firmness. C-Quence Lip Balm This soothing formula (SPF 25) hydrates, reduces fine lines and encourages collagen production for fuller, more lustrous lips. Focus Frown Serum This groundbreaking, scientifically proven formula helps smooth and soften frown lines when applied to the targeted area. Frown lines become lighter, muscle tension reduces in the forehead area and deep lines become less prominent. Focus Hydrating Serum This breakthrough formulation helps to address photo-damage and increases the volume of the dermis, thereby reducing fine lines. 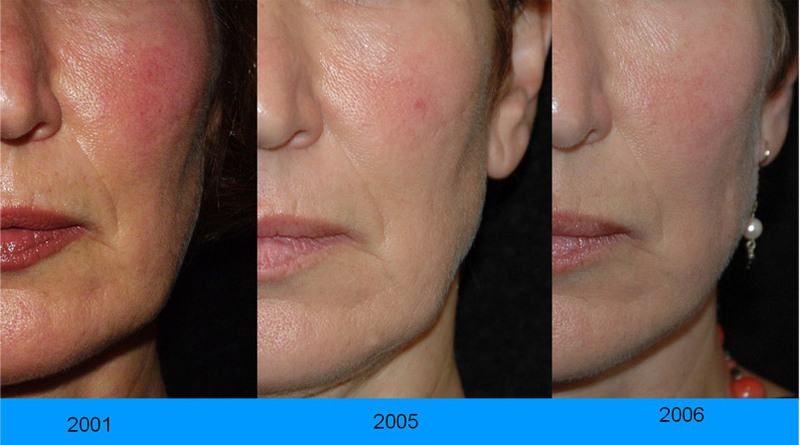 It is particularly effective when used with Environ® needling tools. B-Active Range Specially designed for problem or congested skin, each product contains tea tree oil for its antiseptic properties, as well as salicylic acid and colustrum. The range includes cleaners, toners, moisturisers and spot lotion. Body Range Designed to firm, tone and deeply nourish skin on the entire body, leaving it smooth and supple. Suncare Range RAD (SPF 16) is a revolutionary, antioxidant sunscreen that provides superior protection from UVA and UVB rays while caring for skin, while Alpha Day . Alpha Day lotion is designed for the face and contains medium levels of Alpha Hydroxy Acids to effectively softens and smooth the skin. Evenescence Range The products in this range are designed to address uneven skin tone and reduce blemishes while hydrating and nourishing the skin.